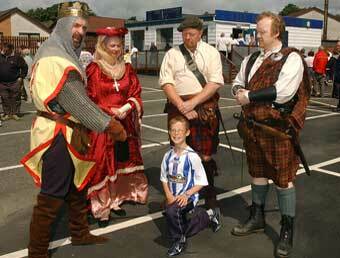 As you may or may not know I'm always up for a laugh and if there's a chance to educate some kids about Scottish history then I'm there!!! 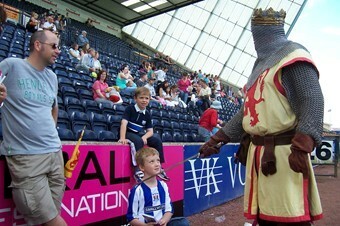 Big Seoras, the Kings highland bodyguard at Kilmarnock football ground!! 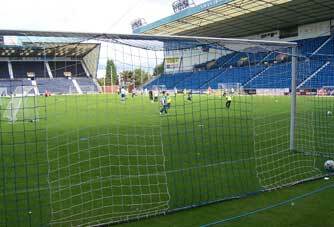 Yep I was Rugby Park bound and what a great day it was. What a great crowd, not just in attendance but in manner, we were treated Royally, no pun intended, alright then maybe a wee one!! 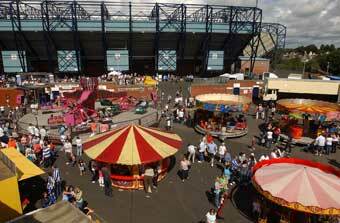 The weather was superb, the crowd were in good spirits and the entertainment on show was fantastic. 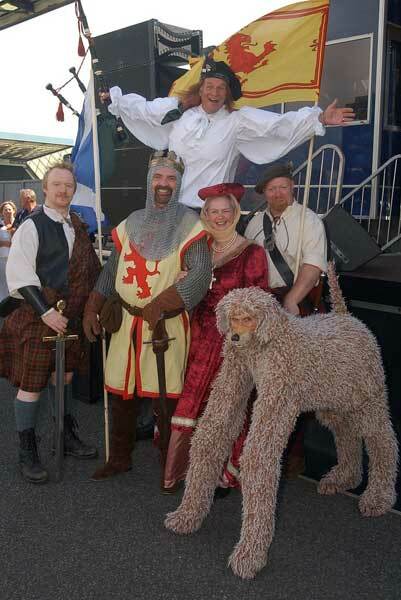 Radio Clyde was there, magicians, an Abba tribute band, bouncy castles, slides, fairground and the stars of the show, apart from us obviously were Big Rory and Ochie the dug. 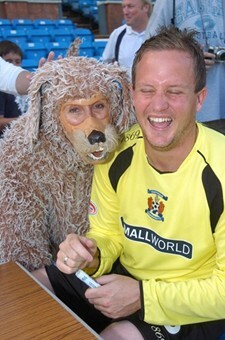 Big Rory and his dug was one of the funniest things I've seen in my life so I wont spoil it for you by telling you some of the things they got up to, superb, absolutely superb!! 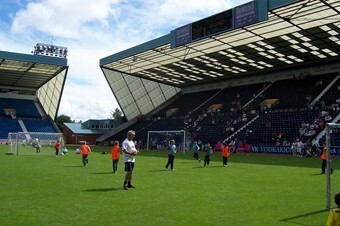 Plenty of football was on show as well, Kilmarnock manager Jim Jeffries welcomed the crowd and told them to make themselves at home and that he and the players would be only too happy to chat and pose for photographs and sign autographs. I'd love to see more teams do this, what a great way to connect with the fans. Along with myself and Jock we had the lovely Lesley playing the Queen and the very rugged Joe playing Hamish, the slightly less rotund highland bodyguard of the two!! 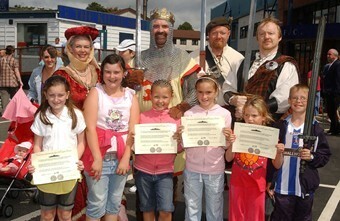 Our job was basically to mix with the crowd, knight the boys and make all the wee lassies ladies, along with that we were always available for photo opporchancities!!! 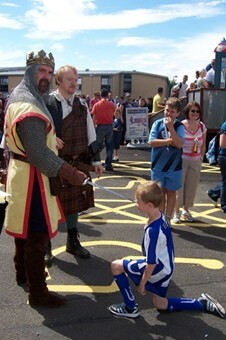 Unfortunately we couldn't carry out our wee weapons display and give the kids a chance to take on the Kings very own highland bodyguards, due to lack of grass would you believe!! 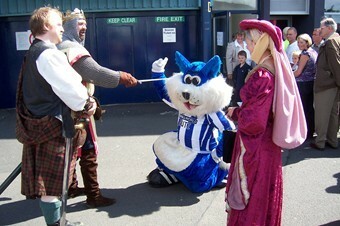 Anyway, what a fantastic thing for Kilmarnock F.C. 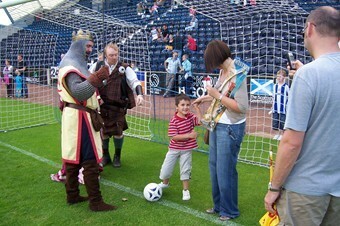 to put on for their supporters, the smiles on the kiddies faces were infectious as they all got to meet their Killie heroes and have photos taken, shirts balls anything they brought along were signed by the players who seemed only too happy to do so. Highlight of the day was running down the wing with all the highland gear on and crossing an inch perfect pass to King Robert in the area who completely missed the chance in front of an open goal!! Mind you it was probably just as well he missed it as he might have burst the baw wae his crown and we didnae want a row!!! 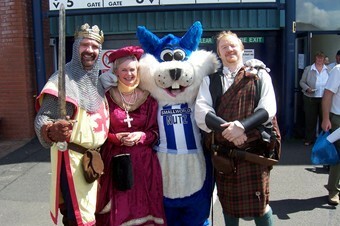 Nutz poses with the Royal Family. 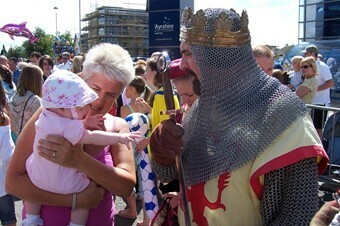 The King talks to a young Patriot. 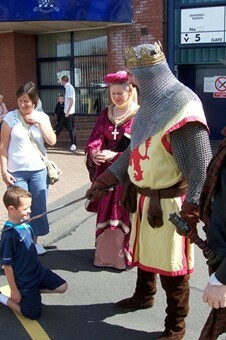 A young Knight of the Bruce. A day to remember for this young lad. Our number of Knights begins to swell. One more for our King's army. 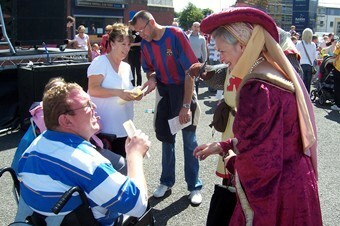 The Queen chats with some of her subjects. 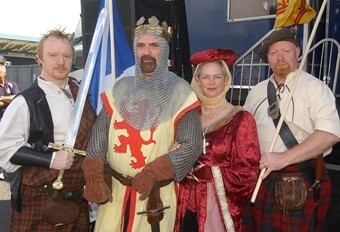 Hamish, Bruce, The Queen & Big Seoras!! Young fans get some expert advice. 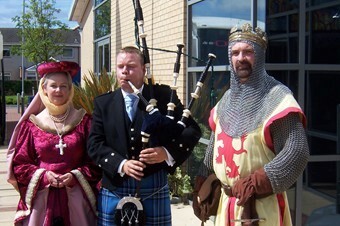 A piper serenades the Royals. 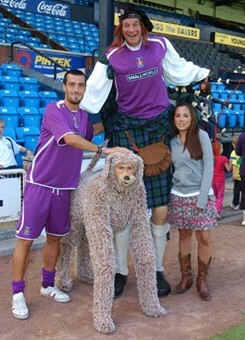 Big Rory & Ochie the dug. 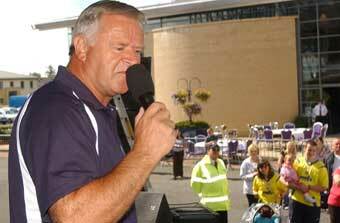 Killie manager Jim Jeffries welcomes the crowd. A great day's fun for everyone. 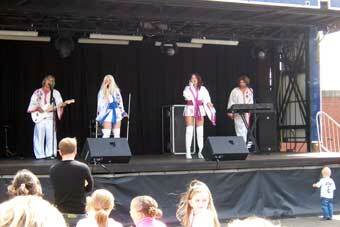 The lovely lasses from Abba. One more Knight for the road.